“Not all fiber crafts are created equal.” My best friend said this recently in a conversation about tatting. Our historical museum in Mazomanie, WI, is preparing an exhibit on needlework for 2016 and has put out a request for someone who tats. 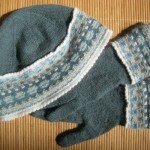 There are plenty of us who knit and crochet and tons of quilters and seamstresses. Even expertise in embroidery and needlepoint is easy to find. But tatting seems to be a scarce art form these days. Both my friend and I tried it in our younger and less patient days. There were shuttles around the house from an ancestor and I’d always heard that my great-uncle Anton had tatted, having learned it from his mother. He was a big, burly guy who’d been a lumberjack in his younger days and I thought that if he could do it, then surely I could. Unfortunately, my patience ran out long before I learned much about it and I have no memory of the skill today. Remembering my frustration with tatting makes me wonder why, of all the fiber crafts I’ve done or tried, knitting and crochet have been the ones that I’ve stuck with. Are they easier than the others? Well, not when I think about learning to knit lace, which I now love to do. Is it because I can make practical things? Being an accountant by birth and by training, I’m certainly practical. 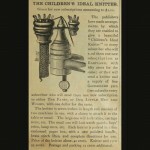 But what’s practical about knitting lace? Maybe it was because I had early success in knitting and crocheting, and success certainly breeds enthusiasm. But then I was also successful in sewing and embroidery and I don’t do either of those crafts now (except for mending – have to save my favorite hand-knitted socks). Knitting in particular seems to deeply satisfy my soul. How about you? What is you favorite craft and why? And do you know anyone in Southern Wisconsin who tats? 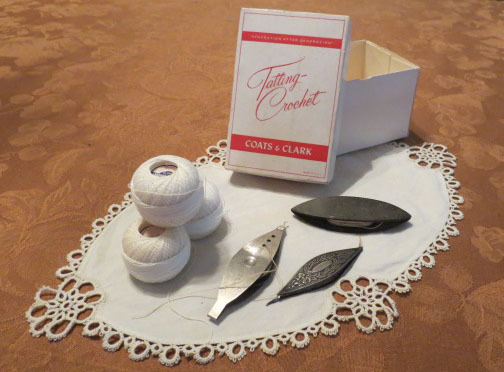 Image: Tatting materials and implements from the collection of Nicole H. Scalessa, Vice President, Center for Knit and Crochet.